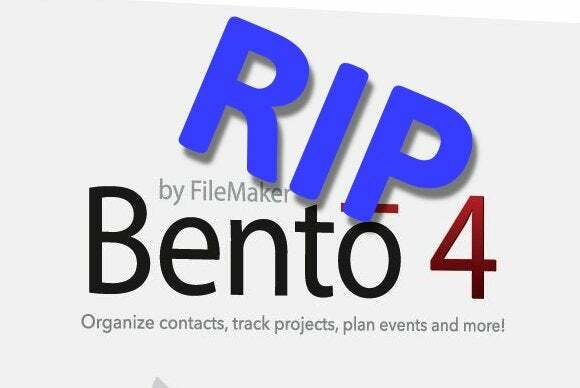 Bento, FileMaker’s consumer-oriented database app, is soon to be no more, as its developer has decided to discontinue the software to focus on its flagship product. It’s always sad when software goes the way of the dodo, particularly if customers are left scrambling for replacements, and if they’re forced to discard their investment in time and training when a new app enters the picture. Bento itself was actually a pretty neat database app: Its simplicity and ease of use belied a significant cache of functionality and capabilities that could be put to good use under many different scenarios. Despite all this, it’s obvious that Bento never took off the way FileMaker had hoped—and, in hindsight, it’s not hard to see why. Databases are the workhorses of the software industry. Whether we are aware of their existence or not, their functionality permeates just about anything a computer does; even something as simple as opening a webpage requires the use of half a dozen databases before a single packet of data leaves our computers. Given the ubiquity and importance of databases, then, it should be no surprise that the software industry has invested heavily in their development over the years. Today, you can find a database library designed to handle pretty much any kind of problem that a developer could encounter, from simple textual tables—which still power many features of practically every operating system—to complex multi-user solutions that can be used to handle the business operations of an entire corporation. In the consumer space, this means that it’s easier than ever for developers to write specialized database apps, which target the needs of a wide range of customers, and can be sold at a relatively low price. That fact makes it hard for software like Bento to thrive; in a sense, its customizability works against it, because its intended audience often lacks the sophistication and patience required to use it. For example, you could spend hours setting up a Bento project to track your video collection, and end up with a usable, if somewhat limited, catalog app—or you could fork over a mere $25 and buy a copy of Delicious Library, which provides all the functionality you could ever need, and then some, and allows you to start setting up your collection without delay. Bento wasn’t just a tough sell for the consumer market; it was also an ill-fitting product for the business world. I’ve always been amazed at the amount of productivity that can be squeezed out of office apps like Microsoft Office. As a developer, my first instinct when faced with a problem is to reach for a compiler, and yet I have seen entire companies run by employees of relatively modest technical ability with little more than a few Microsoft Word and Excel files. Many small businesses can make do with ready-made solutions to manage systems like inventories and accounting—and, when more complex needs arise, they often have the ability to pay a few hundred dollars for solutions that, like FileMaker Pro, give them considerable freedom to build complex backend apps with hardly any coding at all. Compared to FileMaker’s flagship product, Bento offered businesses a feature set that was too limited. It’s hard to say whether this was due to an ill-fated attempt at keeping the software easy to use and consumer-friendly, or because FileMaker didn’t want Bento to cut too deeply into its bottom line; either way, its lack of support for a multi-user environment rendered it useless to any business with more than one employee, and the $50 price tag made it hard to justify for a sole proprietor, who could probably get more mileage out of any of the plethora of invoicing and client management apps available for both OS X and iOS—most of which cost less and offer quicker and better out-of-the-box functionality. 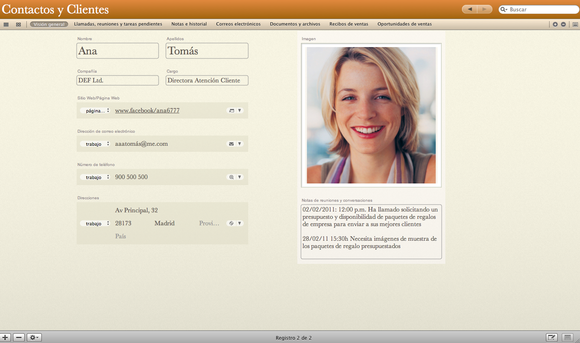 Bento was, in many ways, the ultimate shoebox app. You could use it to catalog your collections, keep track of the things you lent to your friends, and a lot more. Compared to its professional-grade cousin FileMaker, Bento was easy to use, and still managed to give its users a significant amount of power and freedom. Ultimately, however, this freedom came with a lack of focus that made Bento unappealing to its very target market. Having to create your own database is a bit like having to build a car from scratch: probably a good idea if you’re a Formula 1 driver, but not so much if you just want to drive it to the store and back.